Let us save you time and money by helping you meet compliance requirements quickly and efficiently; so you bring your products to global markets without delays. From pre-compliance testing to international approvals management, NTS Silicon Valley is your sole source for all compliance and regulatory needs. This facility is outfitted with state-of-the-art testing equipment that covers Thermal Stress and Extreme Environment Simulation, Shock and Vibration testing and EMC / Wireless testing. With such a wide spectrum of services, we can accommodate your needs … whether you’re competing in aerospace, defense, telecom, medical or consumer electronics. An integral component of the NTS nationwide network for EMI / EMC laboratories, Silicon Valley includes our 27,000 square foot testing center in Fremont, CA. Click here to see the full specifications and capabilities of this facility. Strategic relationships with UL, TUV, CSA. In-house product safety lab for agency-witnessed testing programs. Preliminary construction review and testing services. Ability to issue CE certification reports. Approvals held for ITE, test and measurement, audio/video, radio, telecom, consumer electronics and certain medical device types. For timely and efficient Network Equipment Building Systems (NEBS) testing, you simply cannot beat the service provided by our network of Verizon-certified labs. Especially from our NTS Silicon Valley facility, we can provide you with turnkey solutions — including program management and large-scale engineering services — to assist you in understanding and meeting even the strictest NEBS standards set by network providers. 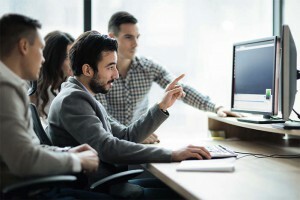 With the goal of eliminating as many non-compliance issues during product development as possible, we help you minimize costly delays in time to market deployment. From Bluetooth® to Wireless USB to ZigBee to RFID and all the various 802.11 standards including UltrawideBand (802.15) and WiMax (802.16) products, NTS has seen it all. We operate an FCC-certified Telecommunications Certification Body to expedite your formal grant of approval and get your product to market on schedule. We are also one of the few labs currently providing Dynamic Frequency Selection (DFS) testing services to manufacturers of 802.11(a/n) devices and other wireless technologies that operate in the 5GHz range. Wireless services include radio requirements, DFS testing and certifications for North America via our in house TCB. And for the European Union, NTS can issue Notified Body Opinions specific to the R&TTE Directive and the Radio Equipment Directive, RED. Dynamic Frequency Selection (DFS) testing. Wi-Fi, RFID, Bluetooth, ZigBee and other wireless capabilities. Approvals held for a wide range of domestic/international wireless testing standards. NTS Silicon Valley also executes Over-the-Air Antenna Testing in our state-of-the-art OTA chamber. As many IoT and M2M devices become increasingly more compact, antennas are sometimes forced to be placed near other antennas, displays, computer processors or high-speed memory. All of which can interfere and degrade a device’s OTA performance. In addition to power measurements, OTA testing can perform sensitivity measurements to illustrate how internal components are affecting RF radio performance. This allows product developers to see where the issues are during normal operation and how they are impacting the product’s performance. A large selection of temperature/humidity chambers, from 2′ x 2′ x 2′ to 18′ x 12′ x 12′ walk-in chambers. HALT Testing -100°C to +200°C, ramp rate 70°C/min, up to 60gRMS (5Hz to 5kHz), 3 cu. ft. table, 250 lb capacity. Temperature/altitude up to 80,000 ft.
Temperature/humidity/altitude chamber up to 65,000 ft.
We offer a wide selection of advanced environmental testing services. Among these services, our robust dynamics capabilities are a sub-category that is in high demand. Included in dynamics testing are various physical stress tests that range from acceleration and vibration testing to fatigue, shock and drop tests. We can help you achieve compliance and secure the requisite certifications for access to regional and global markets. Our international certification services are ideal for manufacturers looking for a cost-effective solution to getting to markets sooner with the minimum amount of delays. 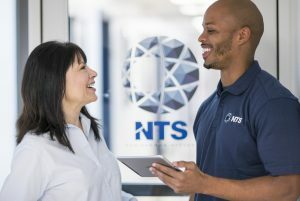 At NTS, we put our skills and knowledge of product compliance and project management to work for you, so you have an accurate picture of the approval process and status of your product’s deployment. From North and South America to Europe, Asia and beyond, our international approval services are highly valued by manufacturers looking to maintain and/or expand their global market presence. NTS Silicon Valley recently upgraded our acoustic noise data acquisition system from a single microphone to a 10 microphone array. This setup can capture multiple sound pressure measurements or an entire sound power field instantaneously. You can test different product configurations during a single day-long test session, which can expedite troubleshooting and time to market. Need more information? You can download the NTS Silicon Valley fact sheet for full details on specifications, tests and capabilities. Or Request a Quote to discuss your next program.